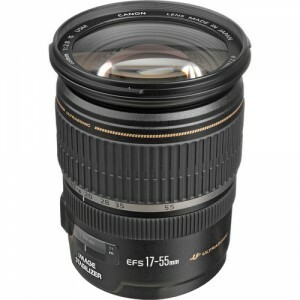 The Canon EF 17-55mm f/2.8 IS USM lens is designed for low light and shallow depth of field applications in a standard zoom for APS-C (EF-S) bodies such as the Canon Rebel and 70D/7DII series of cameras. Combining the f/2.8 fast aperture and Image stabilization promises excellent image quality in low light situations and is very popular for wedding and concert photographers as well as for portrait photographers who need a wider angle lens option. 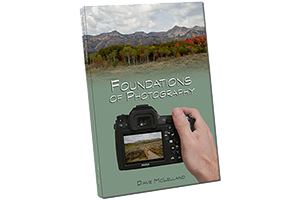 Read my full Canon EF-S 17-55mm f/2.8 IS USM Lens Review for full details. The Canon EF-S 17-55mm f/2.8 sets the benchmark in it’s class of standard fast zoom lenses. The image quality is excellent from wide open throughout the zoom range. There is distortion, barrel at the wide end and pincushion at the telephoto range, and seems to even out around 30-35mm. The IS system works pretty much as advertised, offering a 2-3 stop advantage, which is most beneficial at the longer zoom settings. Why Canon has not offered IS in the 24-70 f/2.8 has always been a mystery to me. Especially after they built this lens and then updated the 24-70 without IS. This lens is bound to be a staple in many pro wedding photographers kits, where light tends to be low and tripods impractical. The build quality is very good, although it is not “L” quality. The lens barrel is built using high grade engineering composites and feels very solid, almost as solid as metal. The zoom and focus rings turn smoothly. The lens does have a distance scale, but like all non-“L” lenses from Canon does not include a lens hood or lens case. The lack of a lens hood has always been a pet peeve of mine as I feel very strongly that lens hoods are very important, and making users spend the extra $50-ish for a piece of plastic that most people feel is highly overpriced is an annoyance. It is hard not to recommend the Canon EF-S 17-55mm f/2.8 IS USM. This lens has (almost) everything I like, great image quality, Image Stabilization, and great AF performance. The only things I wish is that the lens was built to “L” standards and included the lens hood, but Canon does not seem to want to make an EF-S “L” series lens. If you want/need a fast standard zoom for your Canon APS-C body that has image stabilization and awesome image quality, then get this lens. based on 1240 user reviews online.